In this article, BiruiEnjoy will bring you a review of good features umbrellas for women. In daily life, women seem always to be busy every day. There are such and such trivial things interminable to deal with. While you’re out shopping, carrying goods, or holding your baby, seems no free hands for other business at all. But it rains. The rain comes with merciless. If you need to make or receive calls or do anything else right now, it can totally get you messy. What can you do next with a wet umbrella after the rain? How to carry it inside and not to make the mess with water dripping all around? Where to put the wet umbrella in a car or public transport? How to dry all the umbrellas in the restricted office premises? All these questions must have popped into the head on a rainy day. And over all of this time, wet rain umbrellas have caused much inconvenience to their owners. Yet, now you can leave all of these problems behind with an extraordinary Double Layer Inverted Umbrella from BIRUIENJOY. Its key feature lies in a simple yet brilliant solution – this rain umbrella folds inside-out and keeps all the water inside. When you start using this rain umbrella, you will feel nothing short of relief as this design will provide so-long-awaited dryness to you and everyone around. With this umbrella for rain, you will forget about wet clothes, shoes, floors, car seats and puddles all around. If you are tired of having floors and car seats wet on rainy days from the water dripping from your umbrella, this unique rain umbrella will offer a solution to yr malaise. It is an excellent choice for all car owners who can no longer struggle with the closing and opening of their umbrellas in the rain. This Fantastic rain umbrella will keep you dry, as it features a perfect closing angle and can be easily folded once you are safely in the car. .A little change, big change to life. Does not want your umbrellas so common? Contact BiruiEnjoy for customization with your own design. We can exactly bring your idea to life and make your brand more out. 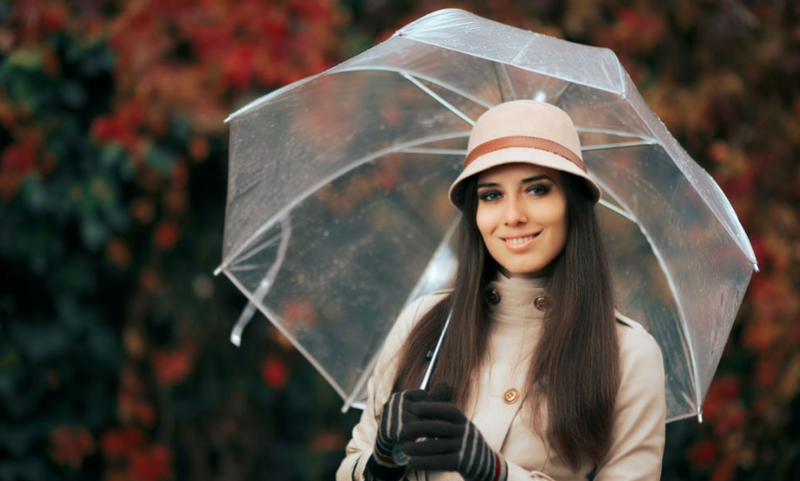 What is the use of an umbrella, if it cannot perform its main function – effectively protect you from the rain! Many manufacturers tend to sacrifice functionality and durability of their rain umbrellas in the pursuit of uniqueness and aesthetic appeal. But the Signature Clear Bubble Rain Umbrella can bring to the table not only aesthetically pleasing appearance but also unmatched functionality. We can safely say that umbrellas master knows how to keep you dry and safe even in the downpour, as well as how to give you the highest degree of protection against the wind and the rain. 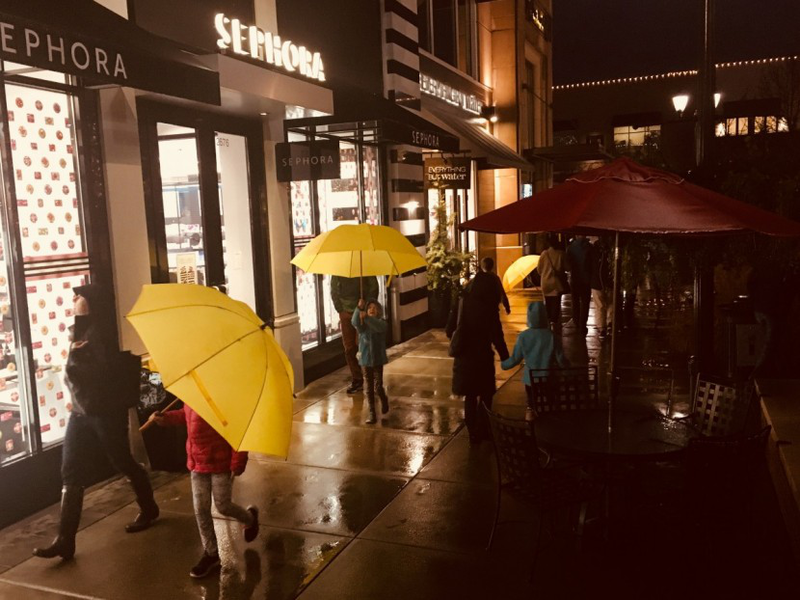 What makes their unusual rain umbrella stand out from the crowd is its original shape, which was intentionally made significantly deeper than in traditional models. Owing to such an unusual spherical and transparent design, this model vividly resembles a clear bubble. Except for the standard model with a silver frame and complete clear canopy, BiruiEnjoy is available to customers and create a new fashion model by changing ribs to colored one and add colored piping to the canopy. So, if you are a minimalist and want to have at your disposal a compact, convenient, and at the same time very efficient and reliable rain umbrella, then this model from BiruiEnjoy is definitely for you. Firstly, when fully collapsed, the length of this yellow rain umbrella is only 10.9 inches, which is several times smaller than in full-sized models. Secondly, it is an automatic open close umbrella, which will allow you to easily open or close it with a simple touch of a button. The straight handle in this rain umbrella features a convenient strap for carrying it over your hand or hanging it somewhere for storage. If you want such a model printed with logo, have the pattern printed for a great look, or have a canopy with PMS No. matched, this is possible. Our MOQ starts from 500pcs to have umbrella customized. As you step outside on a rainy day, you immediately notice the crystal-clear raindrops rapidly speeding, rushing and plummeting eventually down to the earth. The rain batters relentlessly the sidewalks, storefronts, windows, and doorsteps of the houses. You see the water flowing vividly along the pavement and from the rooftops to form the randomly isolated puddles. It does take a lot of dexterity to navigate the streets when every step you make can get your shoe to disappear in the muddy water. Yet, you feel that this rain was needed, as all the nature and the earth feels cleansed and purified. The rain has washed away all the dirt, dust, and filth that had been accumulating on the dusty and polluted streets of the city. You take a breath of fresh air savoring the calm and peaceful serenity that comes only with the rain. As the wind intensifies, people tend to disappear from the streets. Those few lonely souls that remain tend to walk quickly with bent heads and hunched shoulders, holding the buckling umbrellas before them as life-saving shields. The wind that comes with the rain is uncontrollably mischievous. It plays games with their umbrellas, teasing naughtily in under the feeble canopies and then whipping them forcefully inside out, leaving the poor people exposed and unprotected before the mighty force of nature. 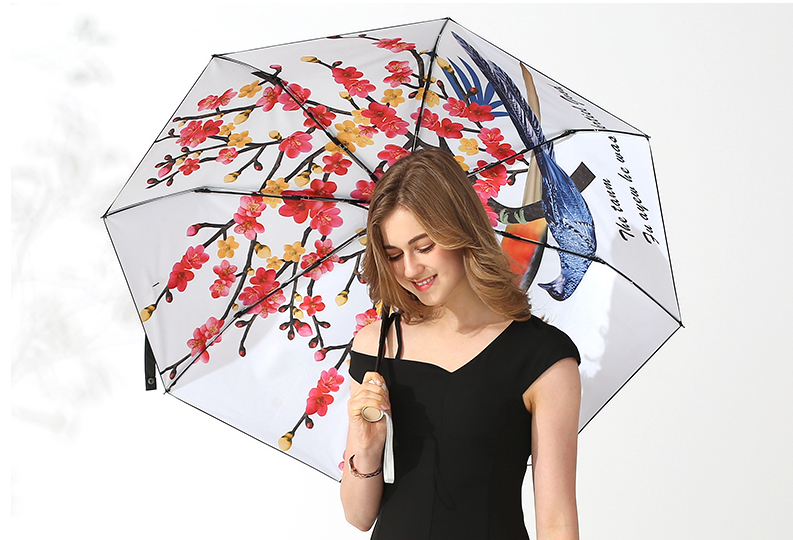 With an amazing and reliable umbrella from BiruiEnjoy, you will be able not only to enjoy a carefree stroll in the park in the light summer rain but also find a reliable shelter in the nasty weather. The Straight Umbrella from Biruienjoy will serve you faithfully in any weather. The distinguishing feature of its design is an extra-large number of ribs in comparison with ordinary models. The multitudinous ribs keep the canopy of the umbrella stretched as effectively as possible without loosening and sagging even in the wind. Such design really ensures its stability in high wind and has a positive effect on the resistance of the umbrella to buckling under the strong wind gusts. The canopy is made from 100% polyester that super waterproof and has UPF 25+. 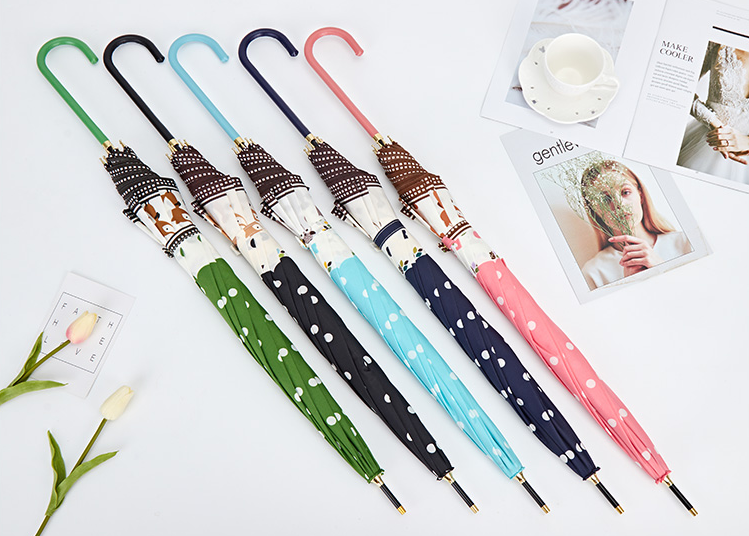 The long hook handle with color matched leather cover makes the umbrella more graceful. You can be hanging it to the wall when you closed it after use. How much will such a great umbrella for resell? Click here for the best quote. Our sales will reply to you promptly. 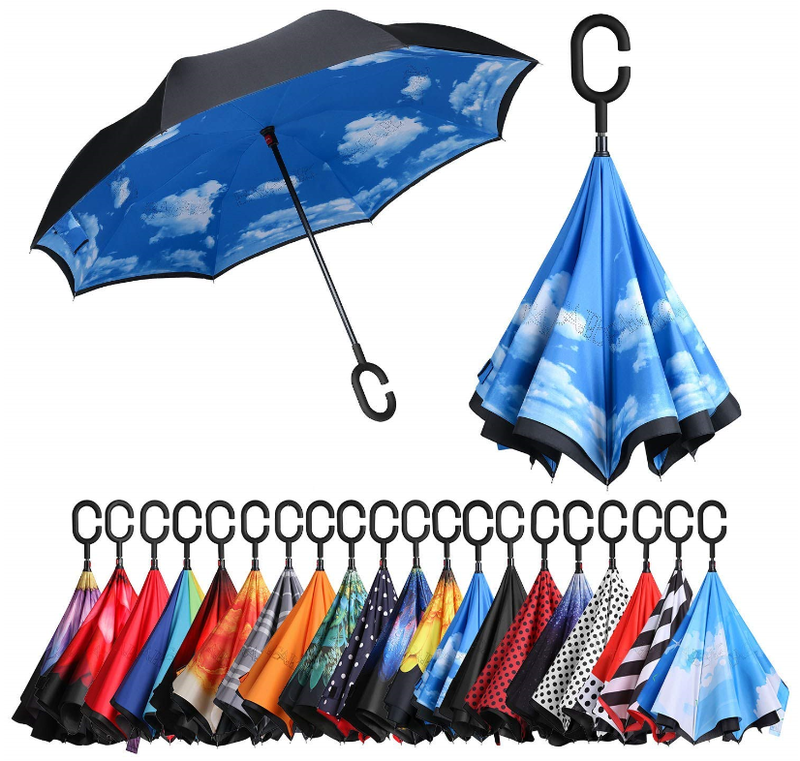 When you are considering a good rain umbrella, what need to pay attention and how to select? When choosing a rain umbrella, first of all, you need to pay attention to its type. All umbrellas can be divided into two categories – full-sized non-collapsible and compact fully-collapsible. Full-sized non-collapsible models are the umbrellas in which the supporting pole cannot be compressed; only the canopy can be compressed as it folds tightly around the non-collapsible central shaft. In the folded state, this umbrella reminds of a gentleman’s cane or a stick but suits both men and women alike. Fully-collapsible rain umbrellas, in turn, have a compact design, which allows reducing their length by several times. Such models are very convenient to carry around just in case the rain starts to sprinkle as they can be easily tucked into a small bag or a glove compartment in your car. An automatic open close umbrella boasts the most functional design as it can be opened and closed at the touch of a button. It may be very convenient in nasty weather, pouring rain and strong wind. The disadvantage of this model is a larger load on the structural working parts, which increases the probability of a breakdown and reduces the lifespan of such models. What are you looking for: a sturdy and reliable shelter in the downpours or portable and unobtrusive protection in case of a mild rain? In the folded state, a full-sized non-compressible model (or a stick) normally has the length of around 40 inches, while compact models in a compressed state have the length of only 10-11 inches. The optimal canopy diameter ranges between 32 and 45 inches. Want to find more models and styles, welcome to visit our homepage and have a quote.